a sweetness oozes into me. Its intensity is almost painful. and awaken a hunger in me. I have craved this for so long. Now I grow beautiful under your gaze. A thought captures me and I must write of it. Because it is almost too familiar a taste. As I touch you I touch myself. I lift my hand to rest it on your skin. and fills me with the same comfort I give you. your haunting presence near me, within me. that walked across my lips. I remember it but fear is its companion. would remain in my memory. and lifts me also separates me into two parts. and freely give it life. of rejection, a rock hard resistance. my lips are afraid to speak. 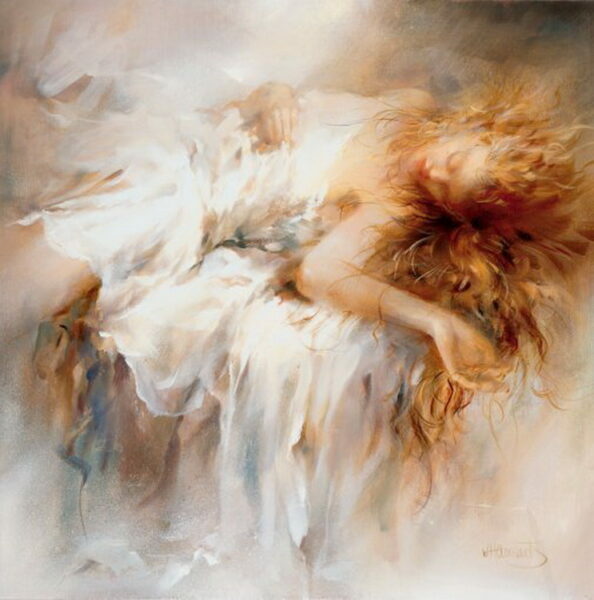 Painting: “Fragile” by Willem Haenraets, original artwork.